Can't Compare This VALUE anywhere in Blind Bay! 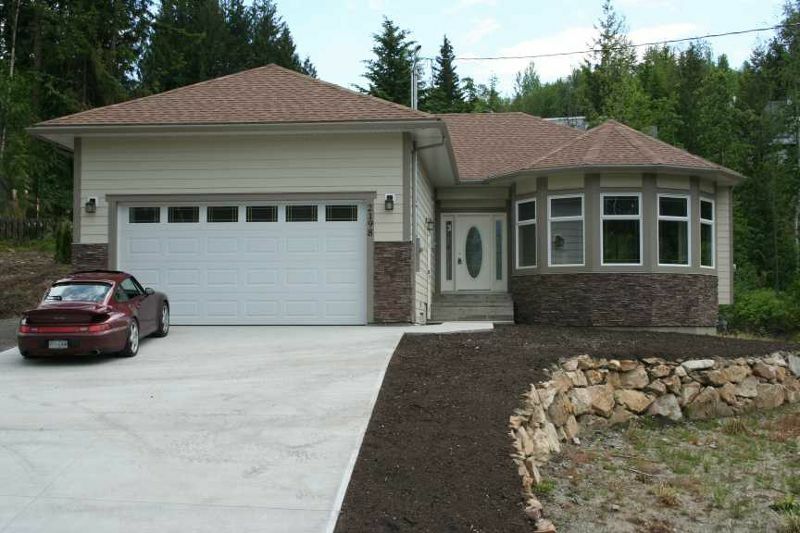 Brand New Blind Bay 3 Bedroom Bungalow with Shuswap Lake View from full width Living Rm Bay Windows! Level Entry, 9' Ceilings, Maple Hardwood, Maple Cabinets, Island Kitchen, LowE Glass throughout, HardiBoard Exterior Package, Living Room, Family Room, Dining Room, Nook & Master all on ONE Level. See over 100 Photos & Maps in our "Slide Show" presentation! Gas Fireplace, High Effiency Furnace, Huge RV Parking along side of garage, Rock Retaining Walls, Morning Sunshine Bay Window Breakfast Nook, Walk to BEACH! GST is calculated at 5% on sale price with a 34% rebate of GST paid if home will be used as principal residence. Buyers to confirm with their legal representative. Call Rob at (250) 804-6288. Call Today!! YOU'll be glad YOU did!